Staff and stringer photos from the 12.01.15 edition of the Muskogee Phoenix. 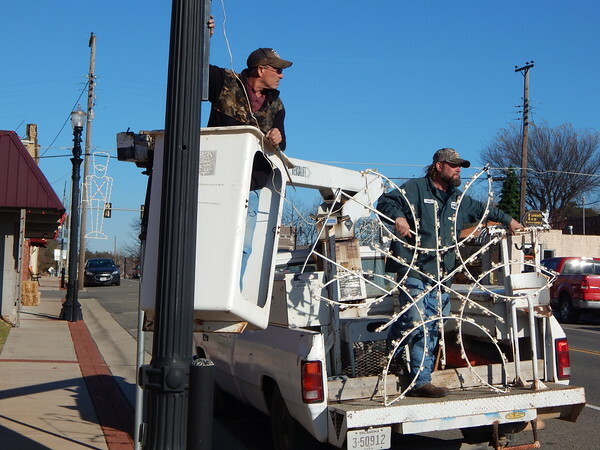 Fort Gibson town workers Jim Whitehead, left, and John Baldridge prepare to put a lighted snowflake on a light pole in downtown Fort Gibson. Street decorations went up early to help boost the holiday spirit.